Arroyo Lupine is also known as hollowleaf annual lupine and succulent lupine. It requires low to moderate watering and prefers full sunlight. 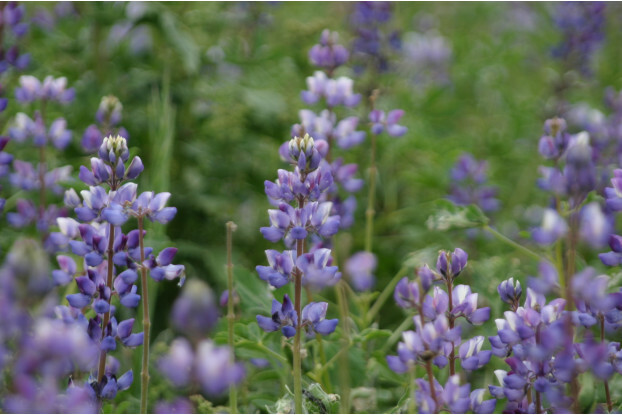 Arroyo Lupine is an annual with deep violet-blue flowers that bloom February through May. It thrives on low elevation foothills along the coast. It also grows well along sandy or gravelly washes, roadsides, and open fields.